Love this, the bit of orange is lovely! You really made a WOW out of the everyday with this one! Perfect for a spa lobby! This abstract art was created by Luther Fine Art. 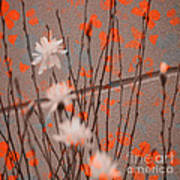 Illinois flowers were the source of blending them into a Zen moment, giving peace and serenity to the viewer. 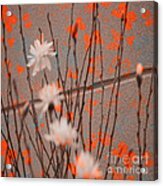 Buy your IPhone case or Samsung Galaxy case with this art at: http://pamelabriggs-luther.pixels.com/ The Fine Arts America watermark will not be on any purchased product Copyright Luther Fine Art, 2014. 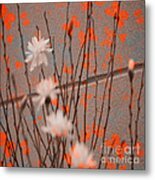 All Rights Reserved The Artist reserves all reproduction rights, including the right to claim statutory copyright, in the work. The Work may not be reproduced in any manner with the express, written consent of the Artist.